In November 1833, Alexander (Alexandr) Borodin was born through an affair between a 62-year old Georgian prince, Luka Gedianov (or Gedianishvili) and a commoner named Avdotya Antonova. As was Russian and St. Petersburg’s custom at the time, an illegitimate son born to a nobleman was registered as the son of one of his servants; thus, his name became Alexander Porfiriy Borodin. These book-certified parents never took care of him. Because of this, two things: one good, one bad. The bad thing was his status as a serf, until just before his death when the prince freed him. The good was he was raised in a privileged household in a house provided for his mistress mother, whom she insisted he call “Aunt Mimi." Alexander was a somewhat sickly child and although he was not allowed to receive a gymnasium education (higher learning), his mother arranged for him to be tutored at home where he excelled both in languages and music. He played the flute, piano, violoncello and violin. At age nine, the precocious child wrote his first musical composition called Polka Héléne, a piece dedicated to an adult woman, Elena, with whom he was smitten. Alexander was an enthusiastic child by nature and not only took an interest in chemistry (he wanted to explore fireworks), but he was also into painting and sculpture. At age 13, Alexander had a friend in Mikhail Shchiglev, a music teacher with whom he performed arrangements for four hands, specifically, music by Beethoven, Haydn and Mendelssohn. Shchiglev specialized in folk and church music. That influence, (as well as their groundwork in classic studies), would have a profound impact on Alexander’s later music with its nationalist flavor and folk music inspiration. It is said Alexander often visited the Asian nomad camps and marveled at the flavor and exuberance of their dances. At this young age, his passion turned to chemistry. He littered the tables and windowsills at home with jars of chemicals and vials in a makeshift laboratory. So much so that the other occupants were afraid of fire. As he excelled, Alexander’s “illegal" status got in the way of his studies and his ability to receive a higher education. Without a lawful method to change his standing, Borodin’s mother and her husband bribed Tver officials so they would register him as a third guild merchant in the central Russian town of Novy Torg, (now Torzhok), famous for gold-work embroidery and being a strategic trade route. In 1850, the 17-year-old merchant entered the academy of medicine and surgery, because that was where you went if you wanted to pursue chemistry. True to his nature, Alexander was caught up in multiple studies: botany, zoology, crystallography and anatomy. In his second year, he narrowly escaped death from a poisonous infection he acquired during an autopsy, where it was said he had an aversion to blood (and perhaps fainting spells?). However, his main strengths were in the study of chemistry. In his third year, he asked his chemistry professor to allow him to study under his command in a chemical lab. In 1858, he graduated as a Doctor of Medicine after completing a thesis on acids. Alexander’s dissertation, in keeping with his precocious ways, was written and defended not in Latin, but Russian—the first, in the history of the school. As a result, the Imperial government sent him and a group of other students to Europe for four years to study the latest scientific developments. Borodin drew the long straw in being able to study under the great Russian scientist, Dmitri Mendeleev, who revolutionized our understanding of the properties of atoms and created a table that probably adorns every chemistry classroom, the “Periodic Table." 1850 to 1856, chemistry was Alexander’s focus. He graduated with an honors’ degree, earned his doctorate in organic chemistry, worked in the Benzene derivatives lab of Emil Erlenmeyer and became an expert in Aldehydes writing, “The chemistry of mineral waters and benefits…"
While doing his post doctorate studies in Heidelberg, Borodin met his future wife, Ekaterina Protopova, a Russian pianist who had come to Germany for treatment of tuberculosis. They shared a passion for music, attended concerts and she introduced him to the music of Schumann and Chopin. At age 29, Alexander became assistant professor at the Academy of Medicine in St. Petersburg. He loved his students and his marriage at age 30 was a happy one. His wife was a proponent of women’s rights and part of his legacy at age 39 was to leave the Academy to found the School of Medicine for Women, a school open to women students. He understood that there should be equality of education and was convinced that women would make good doctors. He was most proud of this accomplishment. Life at home became a struggle due to his wife’s illness that caused her to sleep from 4 am to 2 pm, along with ailing relatives, students and friends who usurped his time and adopting Genya, a seven-year old daughter. He later confided in a letter to his wife: “In trying to be a Glinka [composer], a Stupishin [civil servant], scientist, commissioner, artist, government official, philanthropist, father of other people’s children, doctor and invalid, I end up being the last in line." “Music… is a relaxation from more serious occupations," said Alexander. That is until he met Mily Balakirev in 1862. While under his tutelage for composition—as an amateur, Alexander had not much experience with large-scale orchestration—he began his Symphony No. 1 in E flat major and it took five years to complete; it was first performed in 1869, with Balakirev conducting. Alexander had paid attention to the themes of his intuition and as this was the Romantic era for music; his work was optimistic and Russian in nature. Alexander then took more time for music and for composition. From this period came the epic Second Symphony, the two string quartets and a compelling piece, In the Steppes of Central Asia. In the 1870s, due largely to the efforts of friend Franz Liszt, his works began to make inroads in concert halls in the West. 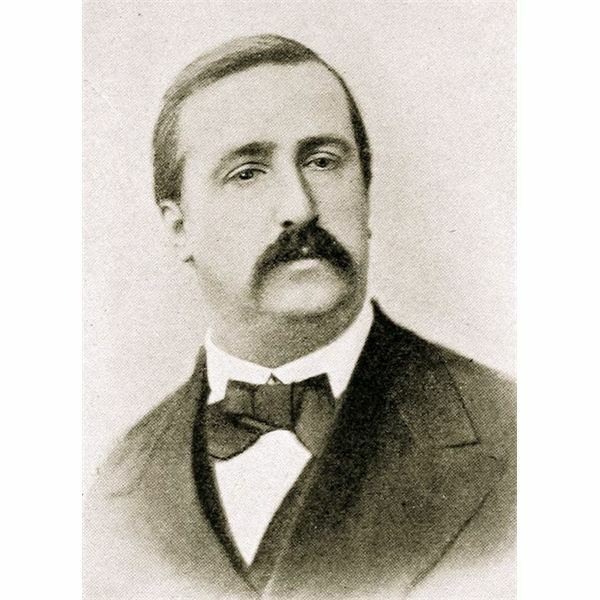 A group of nineteenth century composers known as “The Five," “The Balakirev Circle" and “The New Russian School" (later called, “The Mighty Handful") allowed Alexander Borodin to join their prominent cadre. The Mighty Handful was made up of Mily Balakirev (the leader), César Cui, Modest Mussorgsky, Nikolai Rimsky-Korsakov and Alexander. These composers wanted to produce and present a specific kind of classical music: using Russian folk music and Russian themes, rather than one that imitated older European classical music or relied on European-style conservatory training. After 1880, his wife’s declining health, stress and the increasing demands of teaching changed his direction once again. He eventually died of congestive heart failure (cardiac arrest) at age 53 on February 27, 1887, while celebrating Maslenitsa—a Russian spring folk festival—after dancing at a party. He is buried in the Alexander Nevsky Lavra Cemetery in St. Petersburg. Prince Igor and the Third Symphony remained unfinished at his death. Nicolai Rimsky-Korsakoff and Alexander Glazunov completed the opera, and Glazunov edited the symphony from the materials Borodin left behind. Kismet is a stage play that takes place in Baghdad and one of the best-sung musicals of Hollywood history. Beautiful songs such as “Strangers in Paradise," “And This Is My Beloved" and “Night of My Nights" were created from Borodin’s music. Alexander had been dead nearly 70 years when his music won a Tony Award in 1954. “As a composer seeking to remain anonymous, I am shy of confessing my musical activity… For others it is their chief business, the occupation and aim of life. For me it is a relaxation, a pastime which distracts me from my principal business, my professorship. I love my profession and my science. I love the Academy and my pupils, male and female, because to direct the work of young people, one must be close to them." “Respectable people do not write music or make love as a career." In a letter dated 1877, the great Russian composer Tchaikovsky noted that “Borodin possesses talent, a very great talent, which, however, has come to nothing for want of instruction, and because blind fate has led him into the science laboratories." Music for a Summer Evening. Music DVD. Neely, Blake and Richard Walters. Great Masterworks: The World’s Greatest Classical Music. Milwaukee: Hal Leonard, 1999. Music. Denon Classics. The Most Relaxing Classical Music in the Universe. Santa Monica, CA: 2010. Music DVD.